• Google reminds webmasters that page Titles are used in SERP real estate. 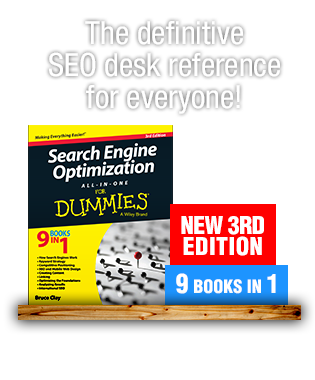 • Optimized page Titles are a basic SEO best practice but are sometimes overlooked. • Write concise, descriptive Titles. Avoid repeated or boilerplate Titles. Google recently reminded webmasters that page Titles matter and are an important part of the search results displayed. Why did Google write another post about “better page titles in search results” when the majority of webmasters already know that relevant descriptive Title tags are an important component of a properly constructed Web page? The short answer is that people do not always follow the basic principles they know are correct. Oftentimes this is a result of the fact that webmasters find themselves pulled in multiple directions. Thus, when developing a complex website, descriptive Title tags are frequently no longer the top priority. On many occasions a webmaster’s client is more interested in meeting specified deadlines and how a page renders in the browser. The inevitable result is that since clients do not care as much about taking the time to look at the source code to see if there is a descriptive Title, neither do many webmasters. However, Google primarily uses the tag, if one exists, to display the hyperlinked headlines users’ see in the search engine results pages. Since that is the case, this is likely a reason Google elected to spend the time to remind webmasters of the value it places on page Titles. But for some pages, a single title might not be the best one to show for all queries, and so we have algorithms that generate alternative titles to make it easier for our users to recognize relevant pages. […] Other times, alternative titles are displayed for pages that have no title or a non-descriptive title specified by the webmaster in the HTML. […] Another common issue we see is when a webmaster uses the same title on almost all of a website’s pages, sometimes exactly duplicating it and sometimes using only minor variations. Lastly, we also try to replace unnecessarily long or hard-to-read titles with more concise and descriptive alternatives. Google provided further encouragement to use <title> tags by encouraging a visit to their updated help center that contains their page detailing best practices to use when constructing a <title> tag. 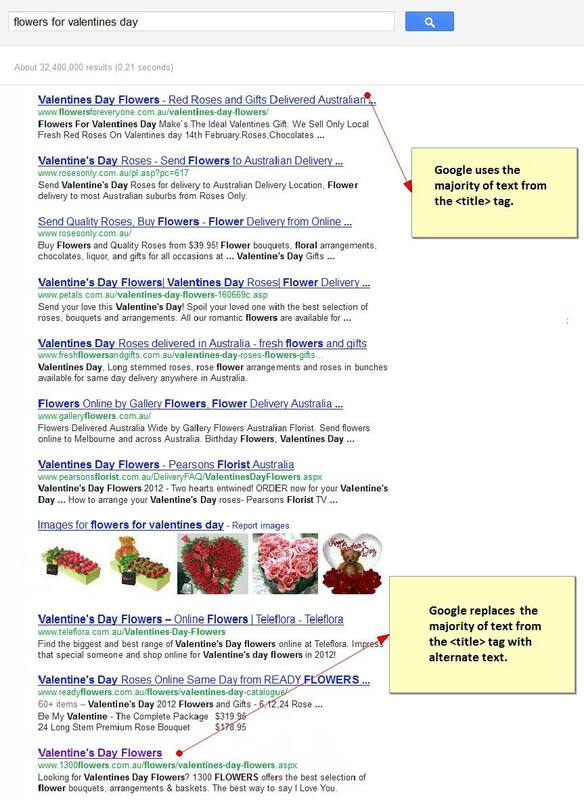 As a follow up, Google proceeded to remind webmasters that if either a page’s title is not descriptive or does not exist then it will use an algorithm to display a title it deems most appropriate to users. A warning is also added to that Google is more likely to replace duplicated titles across WebPages, titles that contain only minor variations, and <title> tags that are needlessly lengthy. 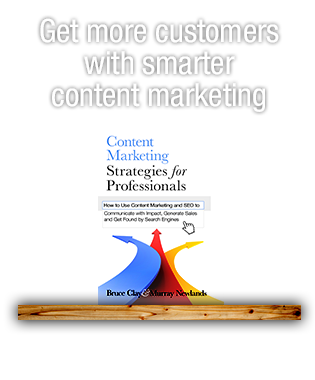 The bottom line and takeaway is that even certain seemingly small and fundamental components such as page titles still matter. Therefore even though there is much more involved in SEO as the search landscape continuously evolves, it is important not to overlook the basics by placing an exorbitant amount of effort on the other and newer factors. 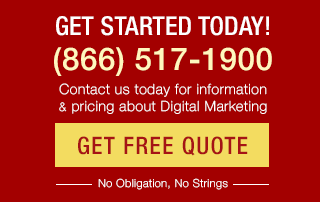 Brent Yorzinski started entered the online marketing arena back when GoTo.com pioneered the PPC business model. Since then he assisted Target Electronic Marketing as their SEO Project Manager and serves as the Executive Chairman of Agilis Marketing, which he founded in 2006. Brent holds a B.S. in Business Management from Babson College, which consistently ranked as the leading school for Entrepreneurial Studies by U.S. News & World Report over the past decade. Thanks for the article. I really do believe that page titles matter and there is a lot of confusing info out there. I think that as a new seo, it’s tough to really understand what best practice is. @ Datta Yes, they still play an extremely large role. This can hold even more weight when dealing with web properties with 100k+ pages since even slight modifications to the titles can produce substantial benefits relatively quickly. Yes, I do agree with the post and believe that page title plays an important role in the search results.Great work Brent and I really find it very informative and interesting to read. Thanks for posting!! Thanks you for the feedback and I am glad that you implemented the suggestions discussed and saw first hand how beneficial of a role title tags still play in the search engine rankings. I imagine others could benefit from a case study; please provide additional details on the changes and campaign if you are not bound by any types of non-disclosures. Hi Brent! Thanks for sharing this article. We encountered the same experience the last few days; changing the page title does still have great influence on the ranking of some of our pages. Can’t agree anymore with this? Having right title for your posts is so important. I am glad that you picked up on the major takeaway. Yes, SEO is and constantly will evolve, but the corner stone principles for the basic elements only changed slightly over the years. Unfortunately, your point that this is an excellent chance to illustrate what a page is about is often overlooked. Despite the fact that focusing on such is an excellent and relatively pain free way to increase CTR’s. Feel free to share any best practices or suggestions you find particularly beneficial in the comments . SEO is evolving but you can’t overlook best practice for the basics. Every page should be optimized and include a unique title tag and description that includes keywords. Not only does this help the search engines, it also tells potential visitors what that page is about. Thank you; I am glad the reminder encouraged you to double check the title tags. My hope is that this blog post encourages others to follow your lead :) Please feel free to comment back with any other basic SEO factors you notice are often overlooked. Good post Brent. I went back over a couple our sites and looked over our tags after reading this post. It’s true a basic SEO thing that can be overlooked. @ Surjanu That is an outstanding point. Unfortunately, many entities end up shooting themselves in the foot even though it is likely easier and less expensive to simply follow Google’s guidelines. Regarding your comment about those who engage in online marketers realising that quality is more important than quantity, there are obviously people that do, such as yourself. The trick is finding the people and companies who understand such. Generally, well established companies that survived throughout the years tend to also employee people that understand this and other concepts. Unfortunately, the fly-by-night and make a quick dollar self proclaimed SEO experts, taint the entire industry, and also dispel an abundance of misinformation. People often overlook the importance of doing the small things right and straight away look at how to get a bunch of links ( generally spammy ones) and get an even spammier title and have content brute forcing keywords without a bother to what happens to the user if they magically rank for the search keyword. When will SEO’s understand that its not about how much stuff you get done but about the quality in what you are doing. The guidelines are there for a good reason..its time all SEO’s pay attention to that resource before resorting to grey hat.. Thank you for the comment. Please let me know if there are any additional topics you wish to see covered in future posts. @ Dennis . I agree with you on this 100%; hence why Google likely reminded webmasters and I deemed it worthwhile to do the same. Many times it is the small, but important, changes that can have the largest impact. This is especially true since, as you correctly pointed out, oftentimes these details are lost when looking at the larger picture. Thank you for the positive feedback Judy. You bring up an excellent point; everyone should also definitely keep in mind relaying a positive impression when crafting title tags. I wish you much success as well! I totally agree with you Brent. Every great success in our business is the result of the little efforts we exerted. Even small components like title tags matter. And not only that, title tags indicate what our page is all about, so we need to craft it well to create a good impression. Thanks. To your much continued success, Judy.